Did one quick sketch while sitting next to this man today. Did a few more scribbles in my sketchbook but decided against posting it. He will work on a project with each student, I think I have some interesting ideas I want to work with him on. I am really excited to be going! Been a while since I drew a caricature, felt really rusty while doing this. I think the actor Irfan Khan has a really intense look, its probably the eyes. I think is one of the most versatile actors around and was fun trying to draw! Got a bigger sketchbook this week, and tried to capture as much of the scene as possible a bit beyond my limits… there is only so much my eye could take in a live setting before my unaware subjects started noticing me! But it was an interesting exercise, having to measure the physical space people were in and place them appropriately. Its always amazing when great artists do this with ease, Jung Gi Kim is a Korean artist who is extraordinary in his ability to capture and envision crowds, definitely worth checking out (http://www.kimjunggi.net/)- an example of this work is below. First lets get my sketches out of the way at the Grocery store/starbucks from this morning. 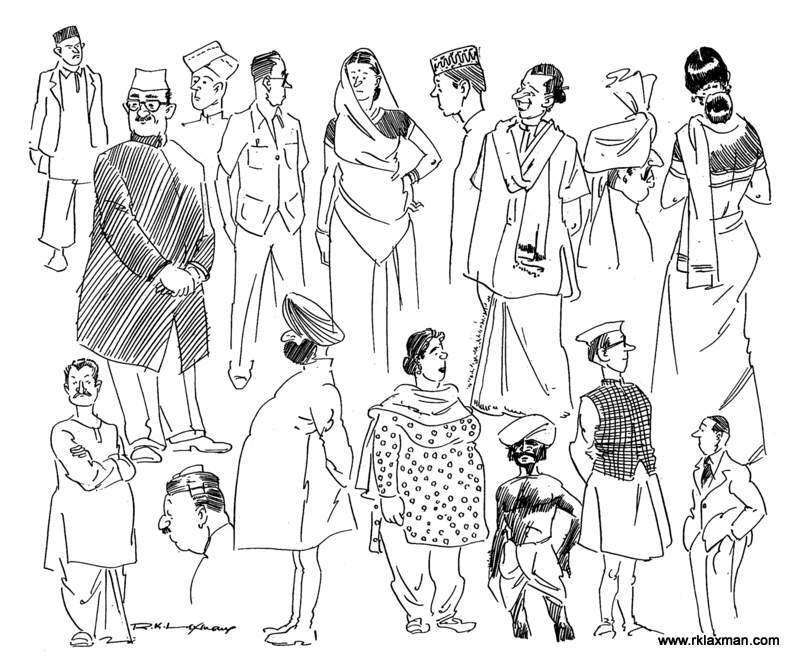 The best way to improve drawing is to learn from Masters; RK Laxman was a consummate artist. I spend a lot of time looking at his compositions, the human gestures and incredibly subtle and astute ways with which he captured the nature and character of his subjects. I find drawing hands to be really difficult. In the drawing below see how beautifully every hand and gesture is placed. I love how the main subject holds the phone and casually puts his hand at the back of the chair. The line work using an ink brush (no photoshop nonsense), The furniture the expression on every face… one could learn a lot about art just from one of his drawings. I got the drawing from (http://www.studio3india.com/). I do not know who owns this, but the work is displayed only for art-appreciation and educational purposes. Coming to the end of a sketchbook I started in February. It is fun to look through it to observe progress (if any). I wanted to be able to freely and minimally capture gestures and expressions. These last few sketches have a tone and some of the free line work I am aiming for (but a long ways to go). Published two papers from my lab this week! (news link in the next paragraph). 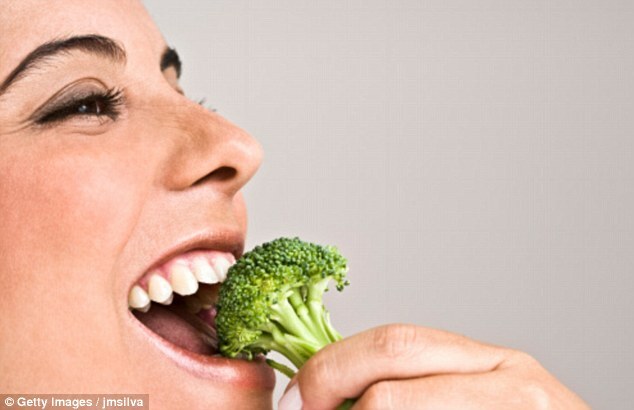 Been working on a novel compound related to that in Broccoli- this compound helps to prevent retinal degeneration, and could be helpful in Macular Degeneration. Filed a patent and hope we can take this forward. In the second paper we found that the common anti-diabetic compound metformin may help to treat a rare ‘orphan disease’ in children. Let see where this science on this leads next. Oh and of course, two drawings at the cafe today! Not sure what the big monkey like pin attached to the lady’s red sweater was about, but it certainly caught my attention. The mom was making quite an effort to stay on the phone, but the baby was happy smiling at me and posing for a sketch I guess. July is world watercolor month, thanks to efforts of my friend and fellow blogger- ( https://doodlewash.com/world-watercolor-month-july-2016/). My favorite painter Winslow Homer used watercolors to profound effect. In support of watercolor month, I will be trying to do some watercolors over this weekend. A bit out of my comfort zone, but I love the freedom watercolors give. I hope to get a lot better at this. This elderly gentleman with an arm tatoo and colorful shirt really stood out at the coffee shop. I am trying to draw a little bit every day, did a quick sketch of Peter Falk’s Columbo tonight. I often catch the detective show on TV and am surprised how enjoyable it is even if I only watch for 10 or 15 mins. I read that the first episode of Columbo in 1971 was directed by Steven Spielberg, an interesting little trivia. He has such an interesting face even the wrinkles have their own character. I tried to capture a bit of his character, I succeeded partially I think.